We announced previously that a special video celebrating Walt Disney World’s Toy Story Land would be released from Disney Parks Blog. 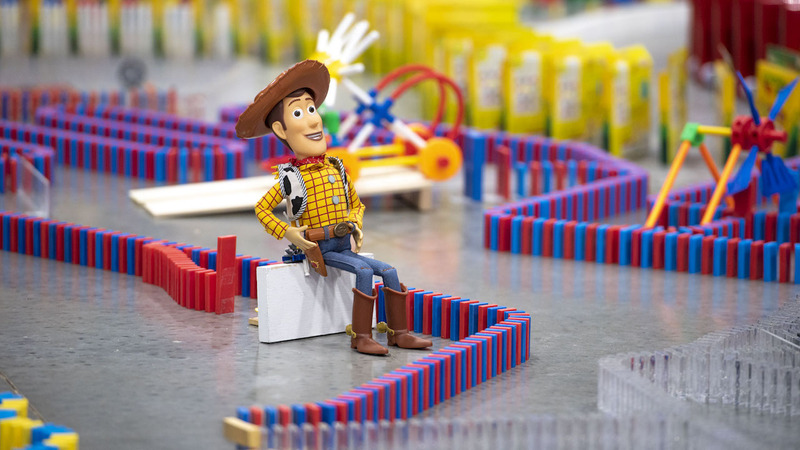 The video is finally out and it is of 32,000 dominoes that were set up to complete tricks and effects, all themed and inspired after Toy Story Land. This spectacular display was built freehand inside the Arena at ESPN Wide World of Sports Complex. Among the features within the display there are murals of Buzz Lightyear and Woody, too! The lead domino artist for the display was Lily Hevesh, a popular YouTube star. 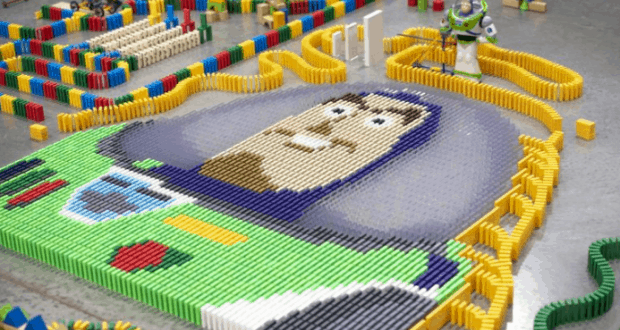 The dominoes were triggered by her rolling the Pixar ball into the starting dominoes. It was Lily and 4 other expert domino builders who worked for around a week to set it all up, and it look less than 5 minutes to all fall down. The tricks in the video are impressive! 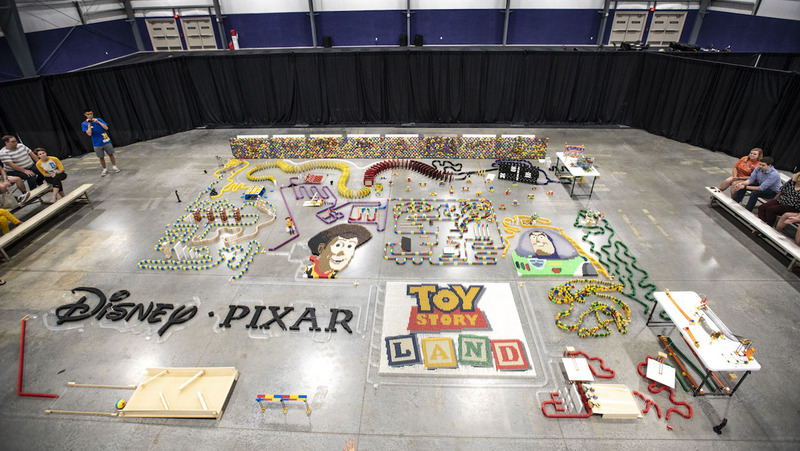 The finale for the display is a large domino wall that falls to reveal signs from Toy Story Lands and Disney-Pixar experiences at Disney Parks around the world. What do you all think of this amazing display?